Porcelana Dark Spot Corrector Review 2018: Worth buying? What Is Porcelana Dark Spot Corrector? Porcelana Dark Spot Corrector is a skin lightening night cream meant to lighten dark spots caused by age, acne, pregnancy, or sun exposure and to even out skin tone for a young, fresh look achieved while you sleep. It also works as an effective moisturizer to leave skin smooth and nourished. The avocado extract and vitamins in the formula keep skin nourished and revitalized to keep it firm and youthful. Porcelana specializes in skin lightening treatments, from dark spot faders to dark circle treatments. There is a day cream version of the Dark Spot Corrector that substitutes the moisturizing effects for sunscreen to protect from further skin damage. The two versions work best when paired together. One jar is $14.95 through the manufacture, but can be purchased at major retailers like Walmart and Walgreens for much less. What Are The Ingredients In Porcelana Dark Spot Corrector? Avocado Oil: The absorbent oil is thought to have numerous benefits for your skin, like moisturizing dry hands or acting as a natural sunblock. However mild itchiness is problem of concern! As, per the suggested by the guideline of manufacturer apply a small amount in a thin layer on the dark area before you go to bed. If you don’t see results within 3 months, discontinue use. Reduce the look of dark spots left by sun exposure, melasma, aging, and acne scars. No documentation support the company’s claims of the product’s effectiveness is readily supplied. 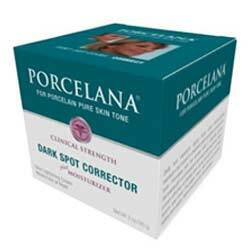 Porcelana Dark Spot Corrector has an official website that is pretty informative. It provides an active ingredient list, but only mentions some of the other inactive ingredients in passing. While there is a detailed description of how the product is meant to work, no documentation backing claims of the product’s effectiveness is readily supplied. The price on the manufacturer’s website, while still affordable, is far higher than the price listed on Walmart’s, Walgreens’, and Amazon’s sites. Porcelana Dark Spot Corrector works to lighten dark spots caused by any number of things. The lightening evens out your skin tone to leave it fresh and youthful looking. It also moisturizes and revitalizes your skin for a smooth, firm feel. Porcelana provides a daytime and nighttime version of this product and recommends the use of both for the best results. The daytime version contains sunscreen in place of moisturizers. This product is available at many major retailers for about half the cost of the price listed on the manufacturer’s site, so it would be best to look around and compare prices if you are interested in purchasing this product. There are many skin lightening night cream products available on the market, so please consider all options before making a purchase. 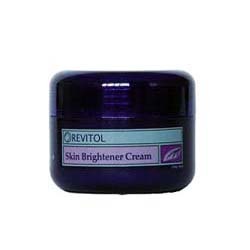 Skin Brighteners aid in reducing post-inflammatory hyperpigmentation revealing even skin tone. Skin brighteners also can help revitalize tired and dull skin resulting in a youthful, healthy glow. 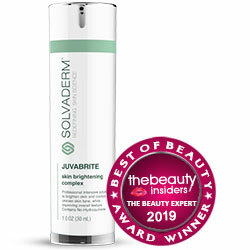 Below you'll find some of the most effective skin brightening products on the market today, in our opinion.